Anthea Sylbert is a piece of Hollywood history: she worked with the biggest directors – Roman Polanski, Mike Nichols, Lasse Hallstrom (as executive producer) -, and with the biggest actors – Jack Nicholson, Mia Farrow, Faye Dunaway, Dustin Hoffman, Warren Beatty. At the peak of her career as a costume designer and after getting 2 Oscar Nominations, she decides to make a change in her career. And what a change! She becomes an Executive Producer. And gets an Emmy Award!!! “She has that kind of brain that can get down to the character very quickly,” says Deborah Landis, president of the Costume Designers Guild in 2005, when Anthea Sylbert was honored with a Career Achievement Award. Anthea Sylbert is a myth. A myth that decided to leave Hollywood and live in the land of the myths. Anthea Sylbert è un pezzo di storia di Hollywood: ha lavorato con i più grandi registi – Roman Polanski, Mike Nichols, Lasse Hallstrom (come produttrice) – e i più grandi attori: Jack Nicholson, Mia Farrow, Faye Dunaway, Dustin Hoffman, Warren Beatty. All’apice della carriera come costume designer e dopo aver ricevuto 2 nominations agli Oscar, la svolta: diventa Executive. E vince un Emmy!!! 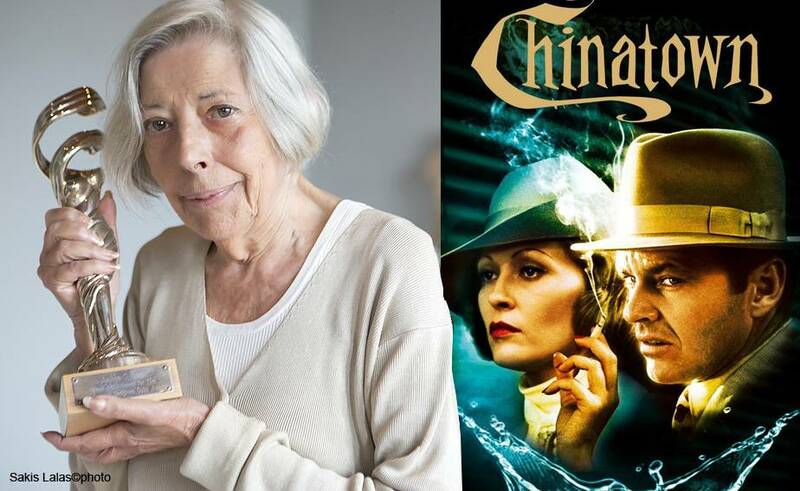 “Lei ha quel tipo di cervello che le permette di capire subito il personaggio” ha detto Deborah Landis, consegnandole il Costume Designers Guild Career Achievement Award nel 2005). Anthea Sylbert è un mito. Un mito che ha deciso di lasciare Hollywood e di andare a vivere nella terra dei miti. Previous Post “ANCIENT GREEK SANDALS” the sandals of the Gods…and the Goddesses!! !